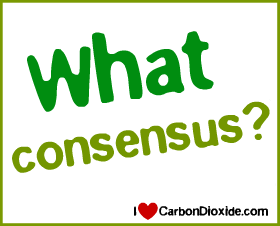 The editorial claimed the “consensus” view was growing “increasingly difficult to challenge, despite the efforts of diehard climate-change deniers.” The editor now admits he is “startled” by the negative reaction from the group’s scientific members. “Some of the letters I received are not fit to print. Many of the letters we have printed are, I think it is fair to say, outraged by my position on global warming,” Baum wrote. “Now, the chemists are thinking about replacing this editor who has hijacked the ACS bulletin to promote his idiosyncratic political views,” Motl wrote on July 27, 2009.